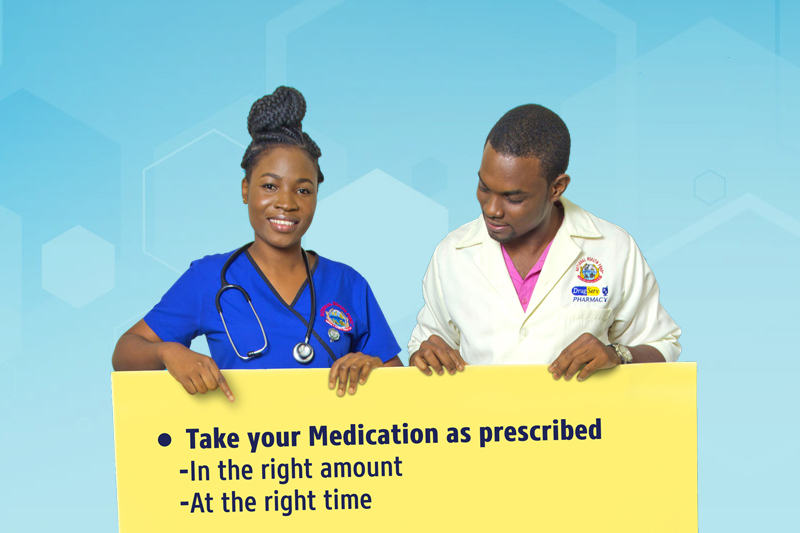 Medication, though not a popular subject for some persons, is a necessity for many, especially those living with chronic illnesses. Many patients experience difficulty in following treatment recommendations especially among patients with chronic diseases. Most of the care needed for chronic conditions is based on patient self-management (usually requiring complex multi-therapies), use of medical technology for monitoring such as checking glucose levels on a daily basis, and changes in the patient’s lifestyle. The World Health Organization notes that adherence among patients suffering from chronic illnesses averages only 50% and is even lower in developing countries. This is an alarming statistic as persons with chronic illnesses need their medication to maintain and manage their health, alongside adapting healthy lifestyle practices. The Jamaica Health and Lifestyle Survey III (2017) for example, found that of the 22.2% of Jamaicans, 15 years and older with selected chronic illnesses reported that they were on medication for their condition, of this amount only 40% reported they always took their medication. Therefore, the remaining 60% do not take their medications as prescribed. As Jamaicans, we have very strong beliefs in the power and healing properties of various ‘bushes’. Nonetheless, these remedies should not be used as substitutes for prescription drugs. If you have been diagnosed with a chronic illness, for example, hypertension, it is very important that you take your medication as prescribed by your doctor. With busy schedules, many persons often forget to take their medication throughout the day. To avoid this, we recommend setting a daily reminder, or taking your meds at the same time each morning, or night. Although you may be tempted to stop taking your medication because you ‘feel better’ it is important to take your medication, as prescribed by your doctor, until the dose is complete. It is a bad idea to share your medication with someone who may have what appears to be ‘similar’ illnesses as you do. Many persons may have negative reactions to various drugs and, as such, only medical professionals should prescribe medication. Some medications may cause side effects. If that is the case, you should discuss with your doctor before you decide to stop taking your medication. Your doctor should be able to prescribe a new drug, or a lower dosage in some instances. Should you be suffering from any of the chronic illnesses covered by the National Health Fund, you can apply for an NHF Health Card or a JADEP card if you are over 60 years of age. For more information, visit our How to Apply Page.